Jack Berringer graduated from the University of Exeter, Penryn Campus, with BA Politics in 2014. He’s currently a Parliamentary Assistant at the European Parliament, Brussels. 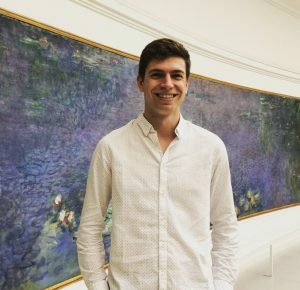 Jack Berringer – Exeter graduate and current Parliamentary Assistant at the European Parliament, Brussels. Since graduation I have been working in the European Parliament, first as an intern before being promoted to an assistant. I initially worked for an MEP from the East Midlands region focusing on regional development policy, which interested me after studying on the Penryn campus and seeing how the funding had such a positive impact on the local area. My MEP was then elected to the House of Commons in the 2017 General Election and I moved to another MEP, this time representing the South West, working on environmental policy. It’s a fascinating policy area as it’s so broad and you’re constantly learning new things and seeing the ways in which technology is being used to combat the effects of climate change. Also in the past year I’ve started studying part-time at KU Leuven for a Master’s degree in Economics and will complete my studies there in June 2019. For me working in EU affairs was a natural progression having studied politics and written my dissertation on the EU accession process. I had also always harboured the ambition of working abroad, so as soon as I saw the opportunity to move to Brussels I jumped at the chance. The thing I find most enjoyable about my job is being in a truly cosmopolitan work environment. On an average day I will speak to people from perhaps 10 different countries and it’s always interesting to talk about what’s happening in our respective countries and the effects that these events are having. For me it’s also very cool to be able to say that you work on creating EU legislation. My favourite thing about studying at Exeter was the people I found myself surrounded by, both students and lecturers alike. Being on the Penryn campus and having a smaller group of students added to the experience. I think we bonded massively as a group and the fact that lecturers were able to perhaps give us a bit more face time individually, if required, was also a major benefit. Looking at the league tables I knew that Exeter was one of the 10 best universities at which to study Politics when I was applying, and that was naturally something I considered. When visited the campus I was really impressed by how modern the teaching facilities and accommodation was and this just reinforced my feeling that I wanted to study there if I got the necessary grades. For anybody wishing to pursue a career in politics abroad I would simply recommend that you throw your name into the hat and go for it, no matter how nervous you might be about the idea of leaving family/friends behind. You have absolutely nothing to lose from sending in an application and, if you are lucky enough to be offered an interview or job, just take it one step at a time. Living in a country forces you out of your comfort zone, no matter how extroverted you are, and when you add to that the fact that you can learn other languages which improves your employability and experience other cultures I really cannot see a downside. In the future I hope to continue working in the environmental side of business, hopefully using the Master’s degree I am studying for, and move to another country before coming back to the UK. It may sound obvious but write your thesis on an area you would like to work in. It means you may get the opportunity to meet people in the industry and make contacts prior to graduation and, even if your dissertation does not require meeting with people from industry, it will show your interest to potential employers when looking for a job further down the line. Andrea Hounto graduated from the University of Exeter, Tremough Campus, with BA (Hons) History and Politics in 2016. She’s currently a Stagiaire at the European Court of Justice, Luxembourg. After graduating from Exeter, I went on to do the Graduate Diploma in Law (GDL, also known as the law conversion course). I was fortunate enough to receive a scholarship from the law school (BPP), which covered the majority of my course fee. I then obtained a place on the Bar Professional Training Course (BPTC) and decided to do an integrated Master of Laws (LL.M). Upon successful completion of the BPTC, I’ll be getting called to Bar of England and Wales. I’m currently undertaking a six-month internship at the European Court of Justice in Luxembourg, as the lucky recipient of the Hon. Sir Peter Bristow Scholarship. I was given this opportunity by my Inn of Court, who is funding me to be here. It is an amazing opportunity to develop both my legal experience and use my French language skills. When I return to the UK, I’ll be seeking to obtain pupillage in a London-based chambers, which is the final step to qualifying as a barrister. Ultimately, I am planning to become a human rights barrister and then qualify as a judge. I chose this career because I’m passionate about speaking up for those who are unable to speak for themselves; for the rights of all who are destitute. I want to be an advocate for the vulnerable and marginalised, those who are often overlooked by our legal system. What I enjoy most about my work is knowing that I am using my skills to impact lives in a positive way and bring hope to those who may have lost it. My degree put me in good stead for career at the Bar in that it developed my critical and lateral-thinking skills. I particularly enjoyed writing my third-year dissertation titled: ‘Is Margaret Thatcher the Ultimate Feminist Heroine?’, which explored the significance of Margaret Thatcher’s election as prime minister. Due to the largely polarized opinions of Thatcher, I was required to extract objective facts from tendentious material; a skill which will be invaluable at the Bar. Academics aside, being president of the African and Caribbean Society during my second year significantly boosted my confidence with regards to public speaking. Similarly, being BME Officer on the Liberation Committee in my third year gave me insight into what it means to advocate on behalf of a group of people and represent their interests. I would advise all current students who wish to pursue a career in law, regardless of whether they want to be a barrister or a solicitor, to start their research early. Try to find out what the difference between a barrister and a solicitor is as early as possible, and then work towards building your experience in that field. Don’t worry too much about specialisms, just try to get whatever legal experience you can get your hands on. The more experience you have, the easier it will be for you to ascertain which areas of law you like and which areas you don’t like. I would also recommend applying for as many scholarships as possible to fund your legal studies (GDL, LPC, BPTC, LL.M etc.). Lastly, I would say: don’t let the statistics scare you. Yes, law is competitive. Yes, you will face rejection and bumps in the road. Yes, getting into a top firm or chambers is extremely difficult. However, as long as you are prepared to work hard to achieve your goals, there is no reason why you can’t do it. Be confident in your abilities! Volunteering is key at the beginning as you will be very inexperienced. As you build experience, you can look for paralegal roles or legal internships which will benefit you greatly when it comes to applying for pupillage (barristers) or Training Contracts (solicitors). 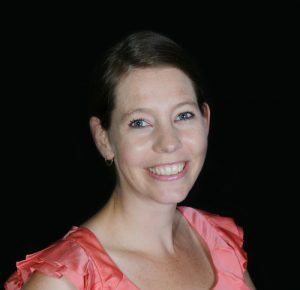 Susannah Day is a Global Employability Consultant (currently on secondment), based on the Streatham Campus. She gave us the low-down on getting work experience outside the UK. I think there are two approaches to finding work overseas; one is focussing on your sector of choice and seeing where it is on the rise globally, and the other is focussing on which country you want to go and then seeing how you can get there. They aren’t always the same thing. Sometimes this alone is enough to help people get started as it gives some purpose to the research. Don’t Google “How to find work overseas”. You’ll be inundated by articles, advice and offers of perfect internships in return for large sums of money. Be strategic in your job hunt. The Global Employability website has a load of information about working overseas. It’s well worth looking at Target Jobs – Working Abroad as well and Prospects. The Country Information section is divided into continents so you can look at North and South America, Middle East, Europe etc. separately. In most cases each country section provides information on sectors on rise and decline, chances of getting work (including visas) and some in country job websites. Understand that immigration rules and visa restrictions exist and are implacable. There are no work arounds or quick fixes (not legal ones anyway). Understand the feasibility and likelihood of gaining work in that country based on their immigration rules, then decide whether you really truly want to invest all that time and emotion into it with potentially little chance of success. 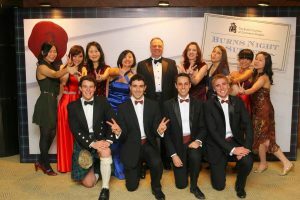 We have alumni networks all over the world, you can find out who you may want to contact here: http://www.exeter.ac.uk/alumnisupporters/networks/international/ . They’ve volunteered to be country contacts so it’s fine to email them asking for advice and insights on how to find work in the sector/county. I’d also encourage you to use LinkedIn, you can see where alumni are working around the world, so actively expand your network by connecting with University alumni and ask them also for ideas and tips on how to find work in your chosen sector and location. You can also see the career path they’ve taken to get where they are. Don’t expect to jump straight to your dream job. Often it’s a series of steps involving smaller internships to gain experience in your sector, or because that’s the only visa available for that country. From there you can build up. On the flip side, don’t let this stop you applying for ‘proper jobs’ but choose these wisely and be sure you’ve answered the questions in the application form and absolutely highlighted how your skills meet their requirements. Always think; how am I going to make this application stand out from others, especially as I’m applying from overseas? Target Jobs also has a really good article on Writing Speculative Applications. Lots of students find international internships through speculative applications made via LinkedIn research. Always consider teaching English through TEFL or TESOL. This is one of the easiest ways to work in a non-English speaking country; once you’ve a “foot in the door” you can start looking for work and networking in your preferred sector. Finally, don’t worry if you don’t speak another language. Of course it helps, but many organisations are looking for English speakers so you can either pick up the language as you go, or enrol in tandem language classes, evening classes or use many of the online apps to help with this. Language is not a barrier. Finding work overseas is a top down process; start at the top with the macro view researching countries, visas, sectors, companies etc. and then work down towards the micro level identifying who you may want to work for then applying speculatively to that organisation if they’re not advertising. This can make it seem like a longer process but ultimately when you do start applying to places you should be making more targeted applications with (hopefully) a higher chance of success. The University of Exeter has recently partnered with the British Council and InternChina to run a bespoke funded internship programme exclusively for Exeter students this summer 2018. Mark Pettitt, an Exeter Graduate of History and Middle East Politics who spent 7 months in Shanghai with CRCC Asia (the British Council’s other partner provider of Internships in China), tells us about his experience as an intern in China and the impact it has had on his life and career so far. What did your particular internship entail? I worked for the British Chamber of Commerce in Shanghai. As part of my role, I led co-ordination and marketing of a project finance workshop on behalf of UK Trade and Investment (UKTI) and the Chamber. I also led production of a report to the Executive Committee on the Chamber’s annual events, making recommendations on how to increase profit. On top of that, I gained experience preparing marketing materials and managing internal and external communications at the Chamber. I was offered a permanent position with the Chamber upon completion of my internship. Did you have to speak Chinese to get the job? No, not at all. Nearly all interns spoke zero Mandarin. My placement provider offered Mandarin lessons but they were not compulsory nor did your level of Mandarin impact the ‘quality’ of your internship. Whether you made an effort learn was down to you, your natural drive and how seriously you treated your experience. What did you enjoy most about living and working in China? I loved how different it was to what I was used to (a small Yorkshire village and Exeter!). My experience in a huge foreign city and culture opened my eyes to the wider world and took me completely out of my comfort zone. It was a chance for me to grow personally and professionally. Meeting a diverse range of people as part of the internship and making lots of new friends (other interns and local people) with whom I still stay in touch years later was the best part of the experience. It’s an experience that has shaped me, made me stand out CV-wise and given me a huge lift in getting to where I am today career-wise. Where do you work now? Would you say working in China has made you more employable? I would absolutely say my time in China has made me more employable. But only because I took it seriously and went with the goals of growing personally and professionally as well as having a great time and experiencing a new culture. The travel, exploration and enjoyment is important. But so too is making the most of the internship. I was offered two jobs in China off the back of it. I now work for the Civil Service, in the Department of Business, Energy and Industrial Strategy. I am responsible for the design and build of a new radiological monitoring and information management digital project. What would you say to Exeter students considering working in China? Absolutely do it but take it seriously as that’s where you will maximise the value. It’s better not to go it alone – use an intermediary like CRCC Asia or InternChina who will find you a host company. Equally, be mindful of your expectations. You will not be placed in a massive company as you’re a student. You will likely be put into an SME (Small or Medium Enterprise) and in many ways this is better as if you do well it will afford you more responsibility and allow you to shout about your experience more on your CV. Future employers want to know what you have done and achieved, not the names of the organisations you have worked at. Feeling inspired by Mark’s story? Ready to apply for an internship in China this summer? The deadline for applications to Exeter’s China Internship Programme 2018 is 18 March. Industries covered include engineering, law, business, architecture, translation and many more. Natasha Lock is studying BA History, International Relations & Chinese at the University of Exeter, Streatham Campus. From the 5th-11th January 2018, I was lucky enough to be selected for the Common Purpose Programme hosted at the American University of Sharjah in the United Arab Emirates. Here, amongst 30 other students from Exeter, I was given an insight into leadership skills, the city of Sharjah and Emirati culture, and how to ensure that cities of the future are both inclusive and sustainable. Boundaries are everywhere: between sectors, specialisations, geographies, generations, backgrounds and beliefs. Common Purpose aims to support future leaders who can work across these boundaries, who are therefore ultimately more likely to solve problems and create change. In the ever competitive world for graduates seeking employment, it is no longer enough to rely solely on one’s IQ. Common Purpose aims to show the importance of having EQ (Emotional Intelligence) – the ability to connect with people on a social level, and CQ (Cultural Intelligence) – the ability to work with people that are not like you. It demonstrates the necessity of being able to successfully lead people of a different culture, race, age, gender and religion. The programme was hosted over four days and provided ice-breakers, pitching sessions, guest speaker sessions, trips to businesses and debates. On the penultimate day, we were arranged into groups of six and asked to design a product that would help Sharjah to become a more inclusive and smart city. We were given 24 hours to come up with an idea, design a poster, make a video, produce a written outline of our concept and finally give a 3 minute pitch to three senior members of local companies followed by a Q&A session. I found this particularly memorable, not only because of my wonderful group who worked so well together, but also because of the incredible ideas that every other group developed in such a short space of time. Common Purpose programmes are based on the idea that cross boundary leaders need to experience the world and the people around them. With this in mind, the programme organised visits to four start-up businesses in both Dubai and Sharjah. Here, we were able to meet with both local and international entrepreneurs and get some insights into the core skills required to start your own business, the most important being resilience. Despite the difference from business to business all of the entrepreneurs agreed that starting your own company is undoubtedly the best way to get a grasp and understanding of enterprise, corporate structures and themselves. Aside from the programme, we had the opportunity to explore Sharjah and Dubai in our free time. 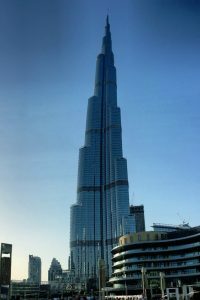 We quad-biked in the Al Qudra desert, went up the tallest building in the world and went to the world’s largest aquarium. Every Common Purpose trip takes place in a different city – previous trips have been located in Nairobi, Kuala Lumpur, Philadelphia and Melbourne – allowing for the unparalleled opportunity to explore a city on a scholarship funded trip. 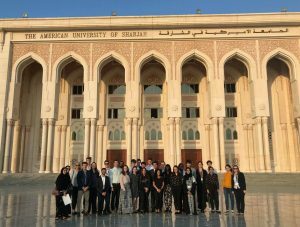 The Common Purpose trip to the American University of Sharjah was a huge learning experience and one that I will value throughout my academic and career progression. 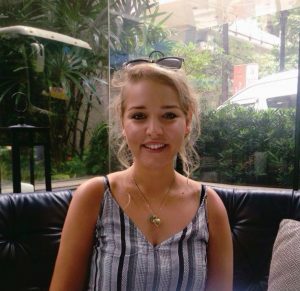 Louise Mason is Second Year Geography with a proficiency in Spanish at the University of Exeter. She talked to us about how she enhanced her skills and experience with the Careers in Nature Conservation Programme. Being a Geographer with a love for nature and the environment, I jumped at the opportunity to apply for the Careers in Nature Conservation Programme. After applying online and attending an interview (my first one! ), I was excited to find out that I had successfully gained a place. I didn’t fully know what to expect, but I hoped that the experience would aid me in deciding what I want to do in the future, and to develop some skills to help me achieve this. We arrived in Mitra, Portugal a day late after flight complications, but everyone was so friendly that we slotted into the group without any issues. Our experience was split around a mixture of employability classes, employer presentations and practical activities on the montado. 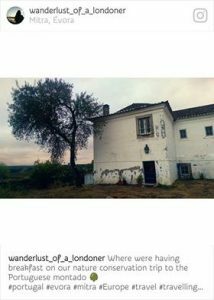 The montado landscape was the focus of our nature-related investigation; its mix of scrubland and forest providing us with a field space rich in biodiversity. Our sessions included valuable employability skills such as learning about presentation skills, CVs and having a growth mindset, whilst the interactions with employers gave us some really useful information about the importance of networking and examples of how people in the industry had achieved their career goals. During the week we visited the nearby city of Évora, where we had a look around one of the impressive university buildings, before having a delicious lunch on the campus. We then had a session about entrepreneurship and the business canvas model where we worked in groups to plan a business, taking into account some of the key principles we had learnt beforehand. 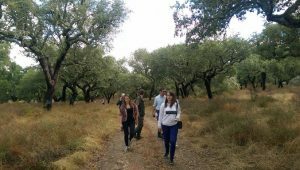 Working with a range of experts throughout the week, particularly in employability, insects and birds, the week culminated in three nature walks led by us trainees. In our group of three, one person from the UK, Hungary and Portugal, we planned our audit task based on our chosen creature, grasshoppers, with some help from a species expert (thanks Gergő!). Being the last walk of the day we had to contend with some ‘disruptive participants’, but it went well, meaning in the afternoon we could all relax and enjoy our last evening in Portugal. Much to my excitement one of the project trainers from SPEA (Portuguese Society for the Study of Birds) agreed to take us back to Évora in the afternoon where we explored the Chapel of Bones, the Cathedral and had some time with the group. Our meal times throughout the week were also a great time to get to know the other trainees and the trainers, not to mention tucking into the delicious food that was prepared for us every day. This was also a great time to try and learn a few Portuguese phrases from the other participants who were very helpful, and kindly put up with my terrible pronunciation! If a trip to Portugal was not enough, I have come away from this week having developed my skill sets in numerous areas. Not only have I reaffirmed my interest in nature conservation and learnt some valuable skills for my future career, I had a great time laughing and learning with individuals, now friends, from across Europe. 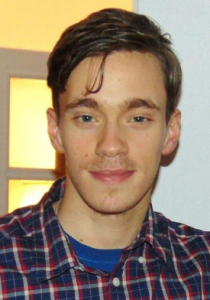 Federico Aulizio is a current BSc Politics and International Relations with Study Abroad student. Last Summer Vacation he took part in Exeter’s Pathways to International Trade programme; bringing together talented students and SMEs, alongside training from UK Trade and Investment (UKTI). What is Pathways to International Trade? The programme consisted of two parts; the first one was a week of training where professional trade advisors from UKTI came to Exeter and taught us a range of topics, including digital marketing and its influence on the present day, and the importance of cultural understanding when entering an international market. The second part was an internship where we applied what we learned in the training to the tasks given to us by our assigned clients. Why did you get involved? 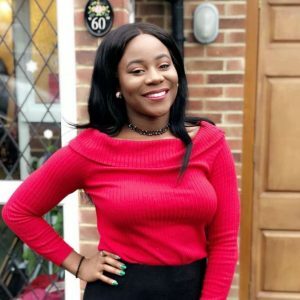 I’m currently a student in International Relations and I wanted an insight on the PR and business side of things. It hasn’t helped specifically for my initial career idea, but it has certainly helped me expand my possible careers plans; as a student, I can’t be closed to ideas or be smallminded. This internship showed me and my fellow interns that expanding our insight can be scary since you may not be completely familiar with the topic or tasks, but at the end of the day it’s worth it. How did you find the selection process? Different (in a great way)! There is nothing that gives more relief to a student than realising that your face-to-face interview for the internship ends up being a series of collective activities with people that are there for the same reason as you. Other than being an engaging and thought-provoking exercise, it was an entertaining activity where you would meet your future intern mates and have a taste of the friendly atmosphere you were about to enter. Having finished my First Year a couple days before the training began, the last thing I wanted was to sit in a room for hours and listening to people lecture me on marketing and trading. But that was the complete opposite of what happened. Yes, there was some sitting involved, but the organisation, mechanics and interactive part of each day made it feel less like a lecture hall. The speakers were very knowledgeable with real life experience and made me feel more equipped for the workforce. How was your internship? What did you do, and what did you take away from it? I feel absolutely confident this internship went well. The program itself is closely linked, if not operated, by UKTI which is a quite influential and important branch of the UK government. Therefore, having done an internship with them is great for my CV. My tasks consisted of finding my client’s competitors for that specific market in a specific country and compared them to my client. I researched the trade laws in the countries assigned and examined them to see if they could impact my client’s products in anyway. Finally, I researched the best possible way for my client to advertise their product using social media and/or hard advertising. A word for future candidates for this scheme? Well, my memory would say to do it for the free Domino’s at the end of the training! But my conscious however, would say to do it for your future. It may not be what you want to do in the years to come, but it is certainly a big step in expanding your horizon. It can open doors that you thought would remain closed for a long time, if not forever. It doesn’t cost you anything to try. If you see it doesn’t fit you, you leave with your mouth stuffed with pizza and your pockets filled with a great experience and memories. Applications for the 2017 Pathways to International Trade programme open January 2017.